Convicted murderer Jodi Arias has sued her chief defense attorney over a book he wrote explaining his take on the trial and his famous client. Arias, convicted in 2013 for the brutal murder of her former lover Travis Alexander, claims her lead defense lawyer, Laurence Kirk Nurmi, violated attorney-client privilege to get material for his book “Trapped with Ms. Arias” which he self-published. Nurmi had already been disbarred over the book, which is the first of a three-part series. A statement released by Jody Arias’ lawyer says, “Mr. Nurmi’s self-published book about his representation of Ms. Arias revealed confidential and privileged information, and violated his most basic ethical and fiduciary duties to Ms. Arias. “What he did was knowingly and intentionally wrong. The lawsuit asks that all of Nurmi’s proceeds from the book be paid to Arias. Nurmi claims that the trial ruined his life. At first Nurmi thought the high-profile case would be good for his career. He soon learned that Arias was an aggressive and demanding client. In 2011 he resigned from the Public Defender’s office, but the judge in the case demanded that he stay on as lead attorney. It took five years for the case to finally reach a jury. Arias was found guilty of first-degree murder but the jury was deadlocked on the penalty. This resulted in a second, penalty-phase trial which ended in 2015 with Arias receiving a life sentence. In all Jodi Arias and her crime consumed almost eight years of Nurmi’s life. The defense attorney became the object of public hatred for defending Arias, whom the public found unsympathetic, to say the least. Nurmi received hate mail and even death threats for doing a job he was legally obligated to do. While the case was ongoing, Murmi was legally barred from speaking out in his own defense. now that it is over Nurmi says he is writing three volumes about the case, to tell the public what really went on. “People still see me as a character: Nurmi the evil defense attorney who supports Jodi Arias,” Nurmi told reporter and author Shanna Hogan, who has written a book and several articles on the case. 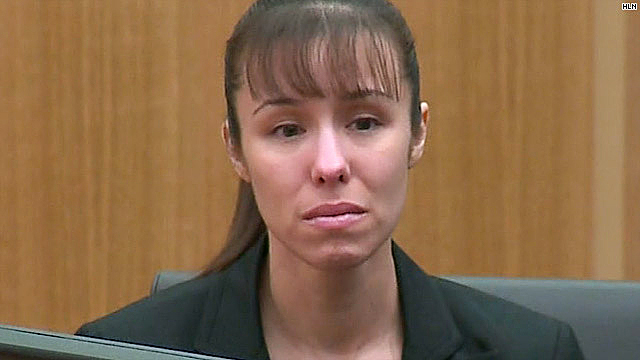 Jodi Arias hired attorney Karen Clark to protest the book, claiming Nurmi had revealed confidential communications and used them to disparage Ms. Arias. “The book, in its entirety, presents a negative view of [Arias] and her case,” states the State Bar of Arizona’s Agreement for Discipline by Consent, dated Nov. 14, 2016. Nurmi agreed to accept a four-year suspension of his lawyer’s license, which Arias planned to dispute. Before any new papers could be filed, Nurmi agreed to a full disbarment. It should be noted that Nurmi’s fees for the case amounted to an estimated $2.5 million. Juan Martinez, the deputy county attorney who prosecuted the Arias case, has also written a book about it—and has also received several state Bar complaints. These would be the fourth and fifth complaints filed against Martinez since 2015. The first three concerned other cases. Some legal ethicists feel the book is in violation because it was written before the case was out of Appeals Court. The fifth complaint, filed by the Arizona Attorneys for Criminal Justice, pans at least 10 years of Martinez’s career and many of the cases he tried.